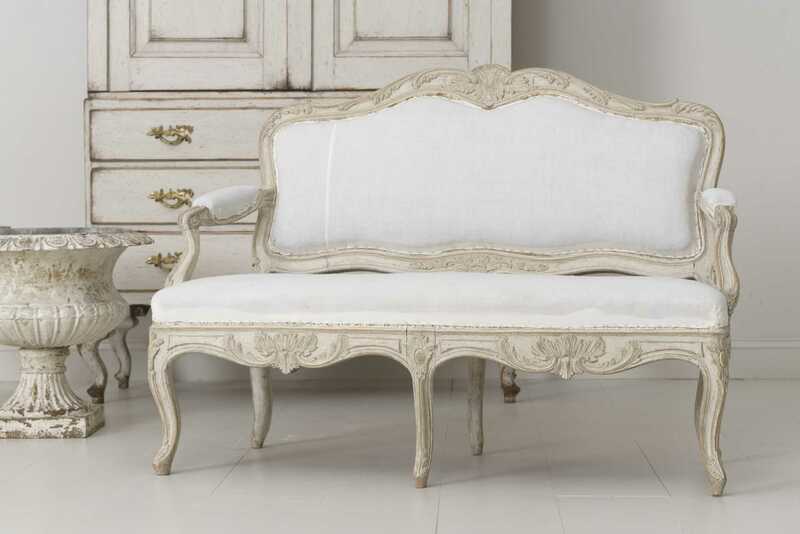 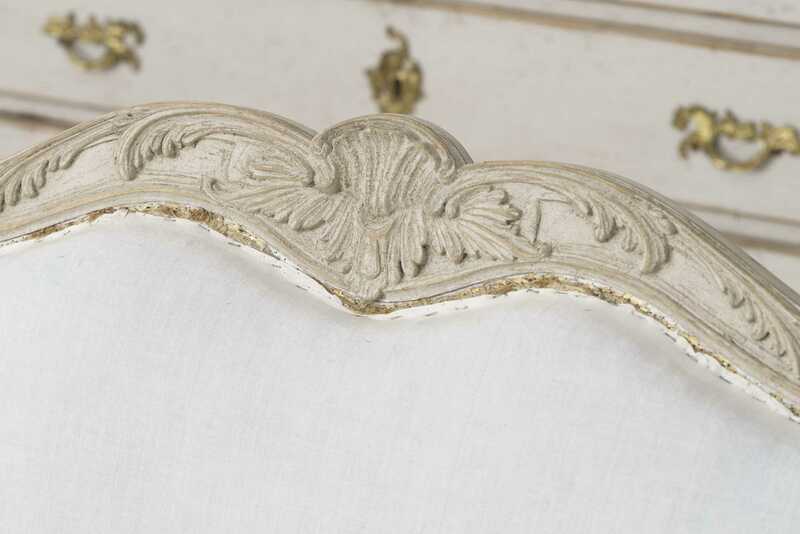 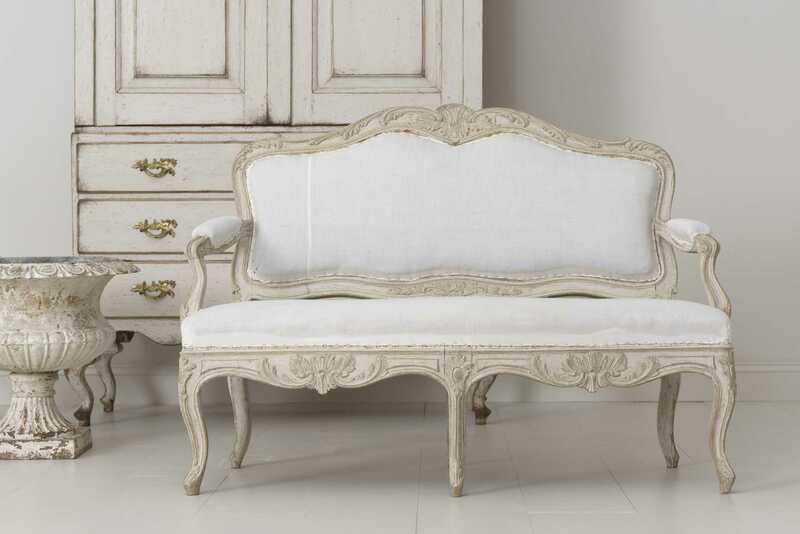 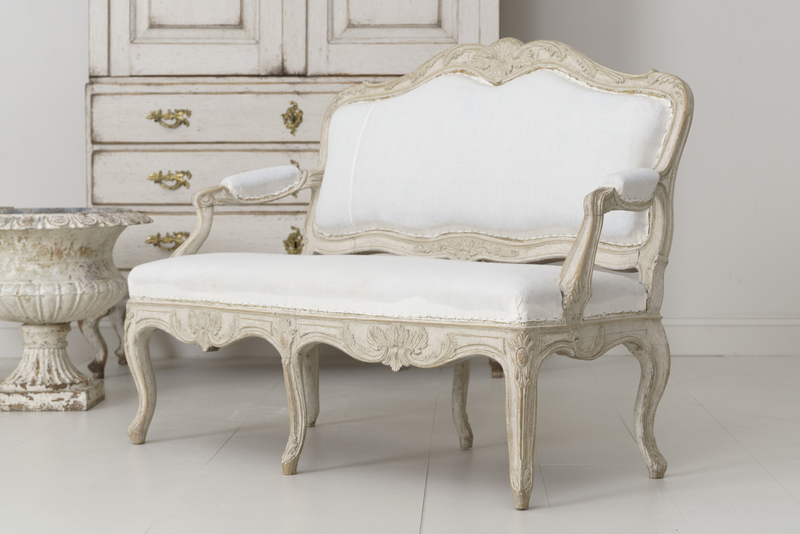 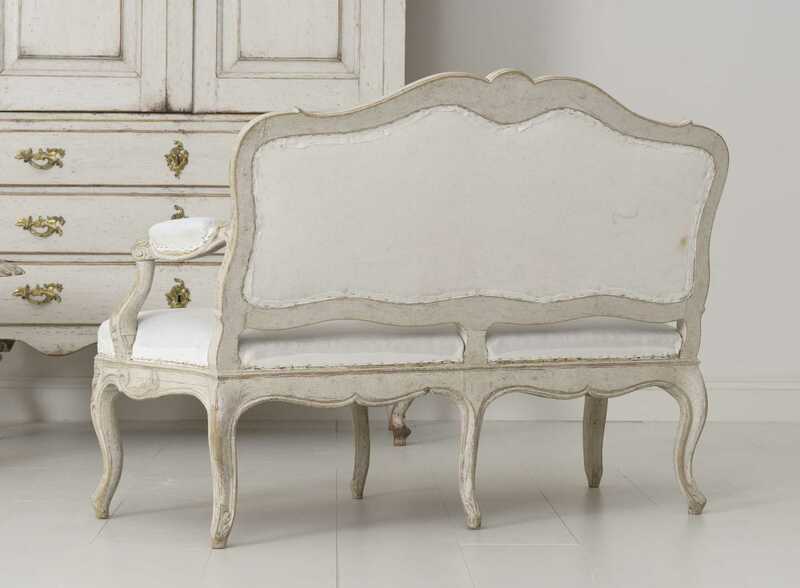 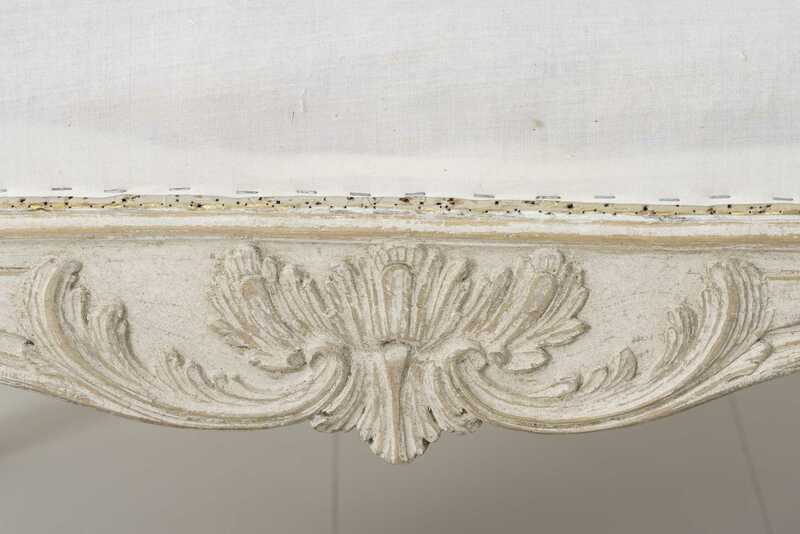 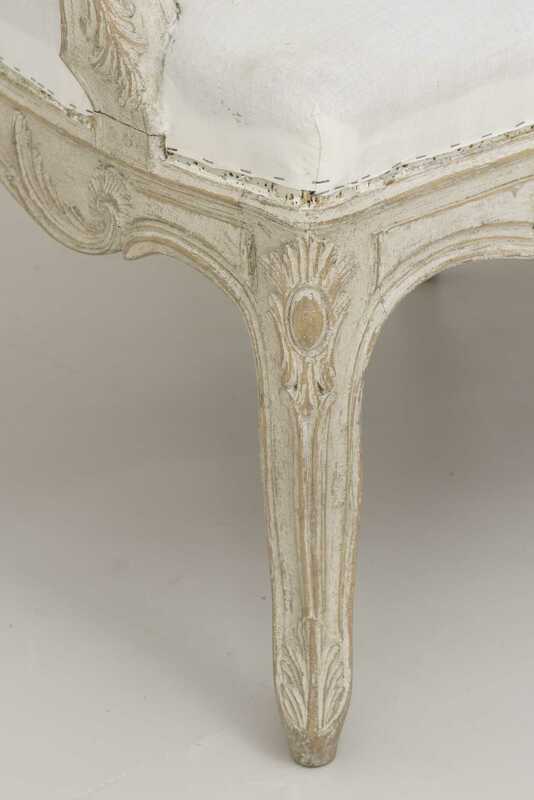 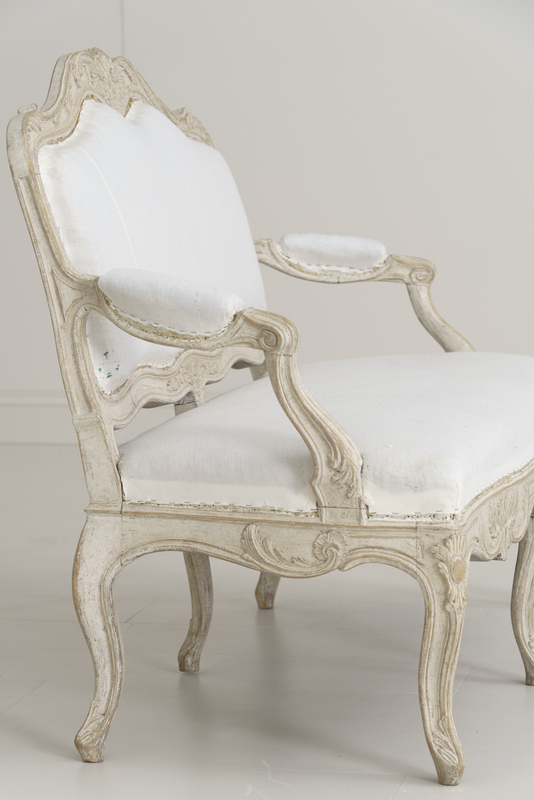 19th Century Swedish Carved and Painted Settee in the Rococo Style | Maison & Co.
A Swedish painted sofa settee with classic Rococo carved detail. 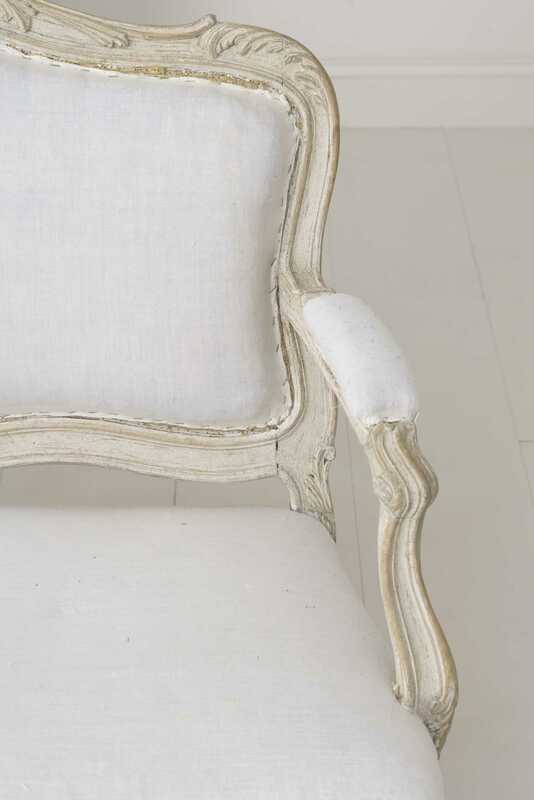 This beautiful settee has newly made webbing and is covered in old muslin. 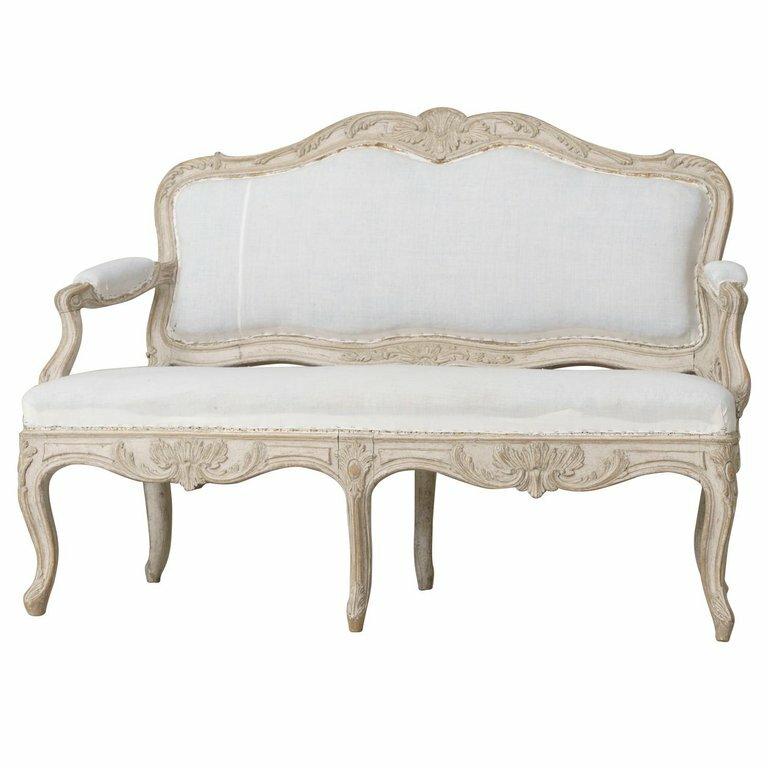 37.44" H x 51.19" W x 25.63" D Seat Ht: 18.32"